What’s in her make-up bag!?! Good EVENING! 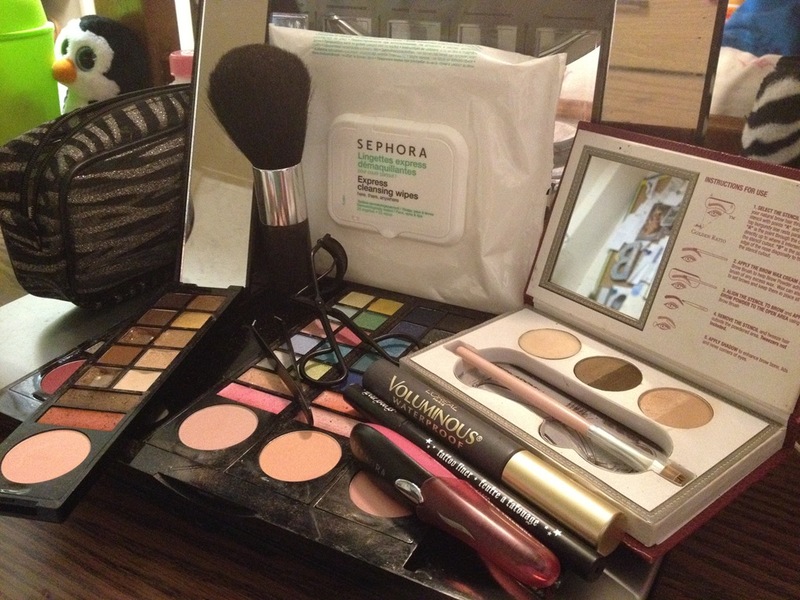 Tonight I decided to let you peek into my make-up bag =) be excited! But first, there are two rules my momma taught me and they are related: 1. Do not go outside looking like a slumpadinka and 2. One should ALWAYS have on at least eye liner and mascara. I normally do not follow these rules everyday, mostly just the second. For those of you who are wondering what a “slumpadinka” is, wonder no longer. Slumpadinka- noun. A woman with poor hygiene and a general lack of caring for her appearance. She is normally characterized by her greasy uncombed hair accompanied by her favorite old sweat pants. 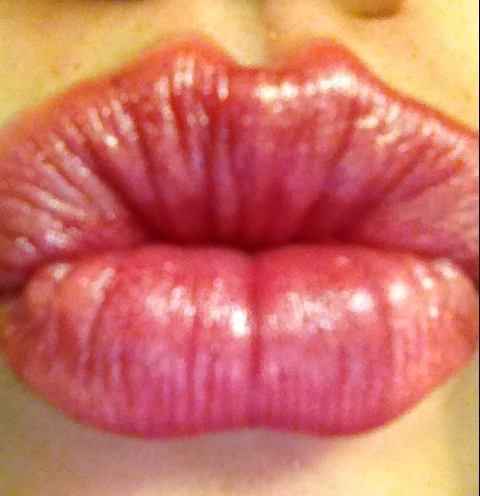 So now that you know why I wear make-up you should also know that I do enjoy it too. My favorite thing about me is my eyelashes… (my mom has also referred to me as snuffleupagus before…after writing this I think me and my mom should seek therapy lol) I love false eye lashes and plan on doing a blog over them soon! 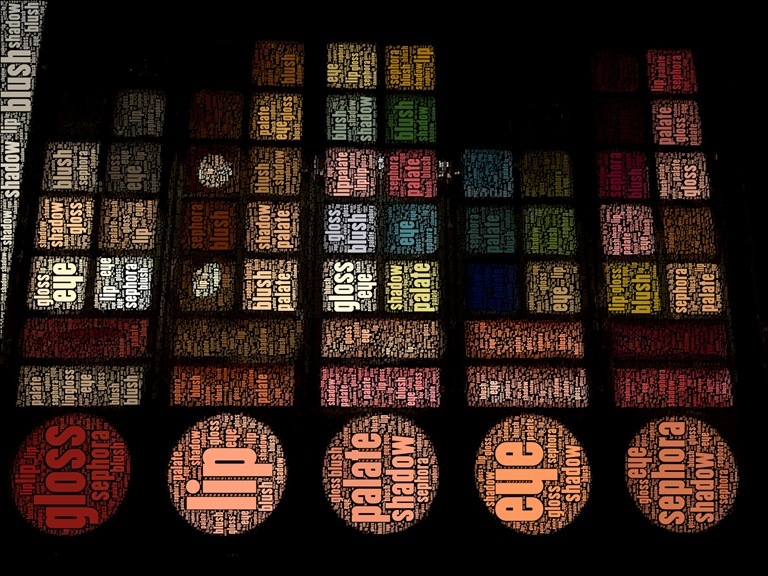 Sephora make-up palate for eye shadow, lip gloss, and blush. This is an awesome palate with great variety. Sephora normally carries a form of this palate around Christmas. It has removable sections that pop into a little carrying case with a mirror that is on the right side of the palate. From the picture you can see that I use the natural colors the most (that’s just the kind of girl my momma raised me to be) but I love having all the other colors for when I feel daring! Brow make-up by ANASTASIA Beverly Hills (courtesy of my cousin Megan) I actually tried it out for the first time tonight. Liquid eye liner in black- right now the eye liner I am using is the tattoo liner by Kat Von D, you can get it at Sephora. I like this liner but it is not my favorite. The brush has an amazing texture but it dries out quickly. My favorite is again a L’Oreal eye liner. 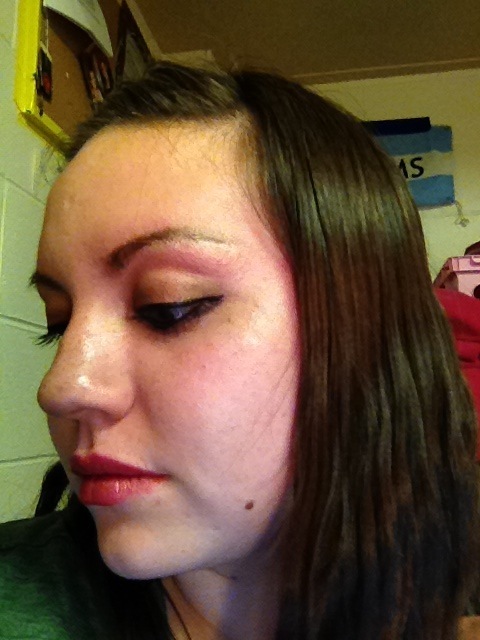 I do not like the applicator tip as much but the actual liner is amazing and glides on so smooth. L’Oreal Voluminous mascara- this is my absolute favorite mascara, and trust me I have tried many cheap and expensive ones, and this one is the best for my lashes by far. Tools- regular eye lash curler, tweezers, and a big brush. You may notice the little pick and black thing and be wondering what it is. This little guy is a heated eye lash curler. It is the one thing in my bag that I love the most. 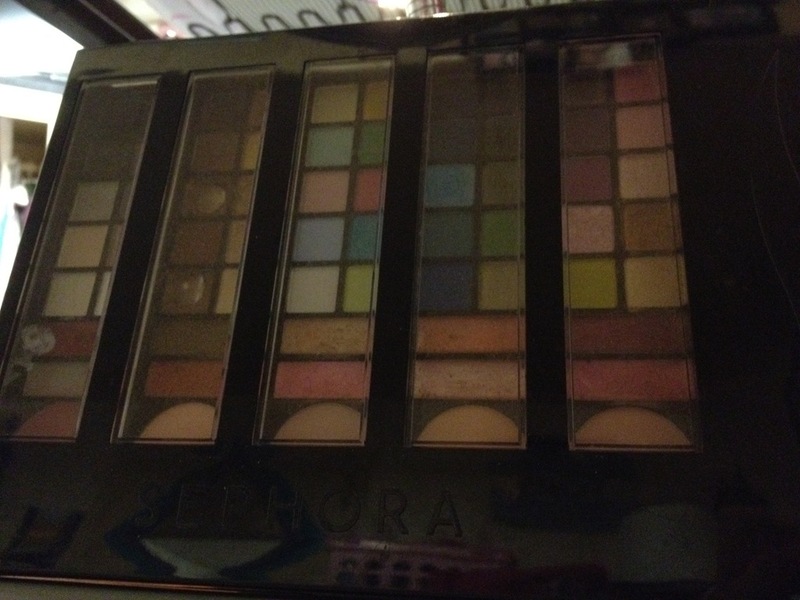 I Feel like this blog is just one big advertisement for Sephora because once again I got it from there. This little one is the travel size and I believe was only like $12. Which is well worth it. He is operated by one AAA battery. This does wonders for my eyelashes and does not leave that nasty crimp that the original eye lash curlers do. And yes I do still keep my old one handy just in case I get in a pickle where my little heated one runs out of battery and I do not have a spare. After going through all this I decided to piggy back off of a friends blog I read today. She did a post over her and her daughter’s bare eyes to their blinged out eyes. So here’s my bare to beautiful eyes. I think there is DEFINITALY a difference between the two! 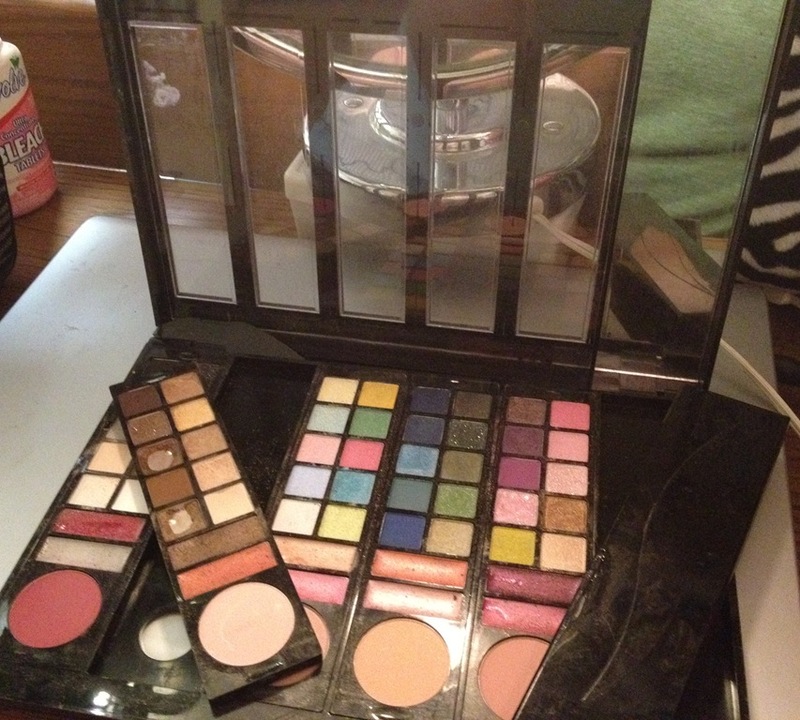 This entry was posted in girly stuff and tagged beauty, eyes, make up, sephora. Bookmark the permalink. Loved this post. Super fun.